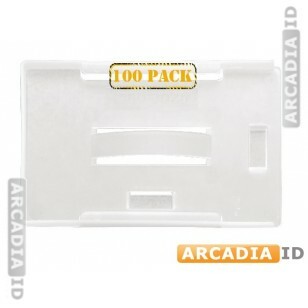 This listing is for packs of 100 milky white card holders. 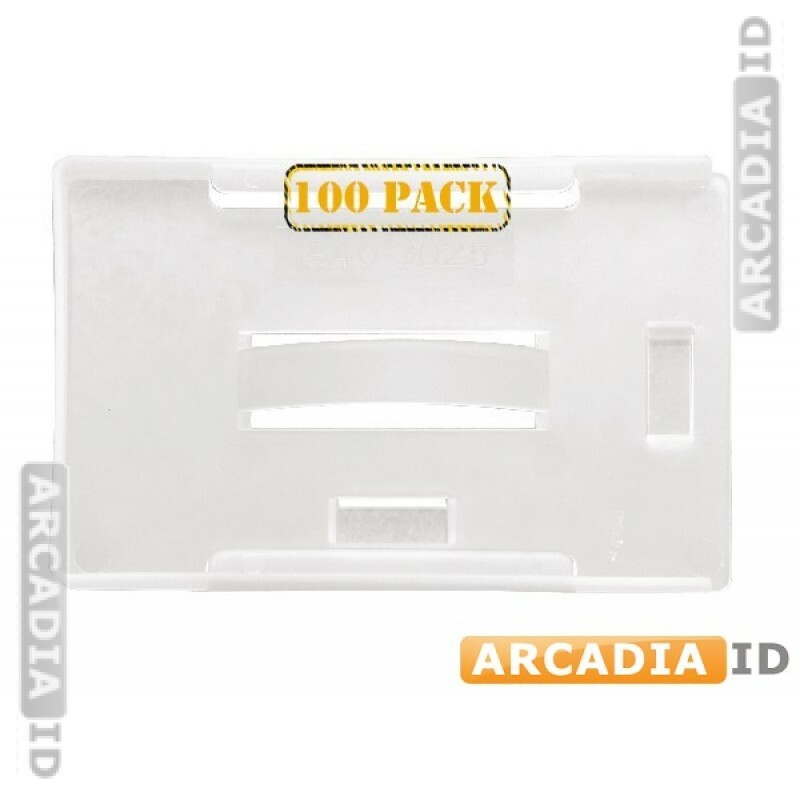 Protect your ID cards while keeping them looking good and easily attach them to lanyards etc. Buy in bulk for great savings. Don't see what you want? Call us right away for a free consultation. For the best quality and value trust ArcadiaID.